A country pine coffee or cocktail table from the 1930's has an excellent renewed finish, preserving just enough mars and stains for a little antique character. 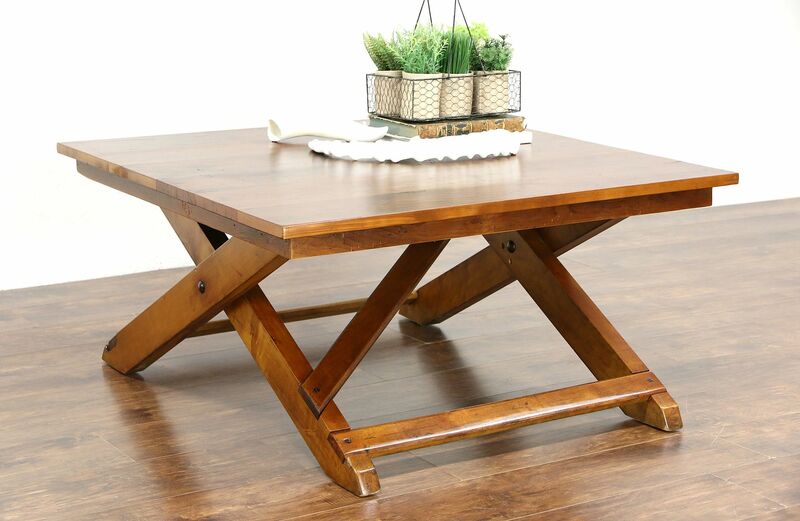 American made, this rustic vintage furniture is rugged and strong. Size is 39" square and 19" tall.